Q: So what is this club about? Q: How do I contact an AWC Staff member? You can also talk to us on Discord. Do keep in mind we do this in our spare time. We will attempt to answer you as quickly as possible, but we all do have real world obligations that oftentimes come first. 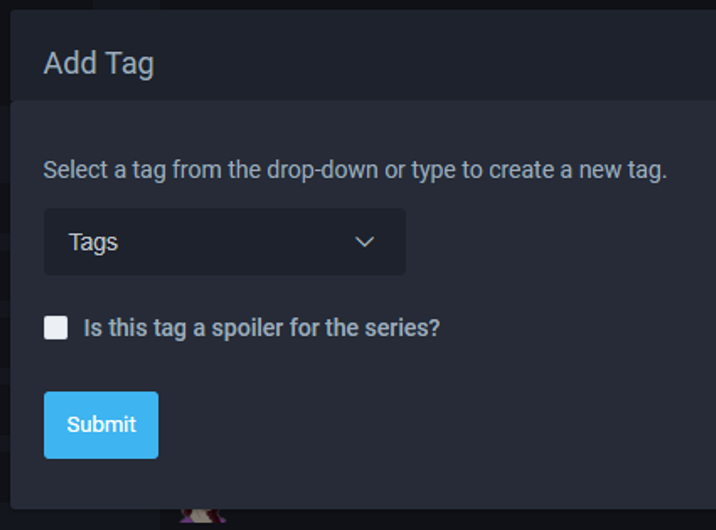 A: Check the spoiler tags underneath the specific requirement. They should all include a description / screenshot of where you can find something. If we missed a description / screenshot let AWC Staff know so we can update the challenge with better information. Q: How do I use this code you speak of? A: At the end of each challenge forum post there is a link to a google doc. Copy and paste the text from the google doc to a file you can save. Fill out the portions in red text when you finish an anime that meets the challenge requirements. Make sure not to accidentally delete any of the random squiggles, dashes, or underlines. That is the AL code to make certain things bold, italicized, or to create a spoiler. Q: I submitted my finished challenge but haven’t heard anything? A: First, make sure you have sent us a link on the Challenge Submissions Forum. Posting a link to your final submission helps the AWC Staff and reviewers to find your submission. You can get a link to your submission by clicking the link icon on your forum reply. Post your comment web address to the challenge submissions forum. If you have submitted your challenge submission properly, then we are probably just busy with reviews. If you are still concerned, send an AWC Staff member a message and we’ll double check to see where you are at in the submission process. Q: I want to help with the club! A: As of right now, since we are so new, we are not taking any additional members until we actually know what we are doing. In the future, when we start recruiting for reviewers, we will have a couple of requirements for reviewers. You must not have anything on your profile that could be considered hate speech nor a history of hateful / incendiary comments on AniList. 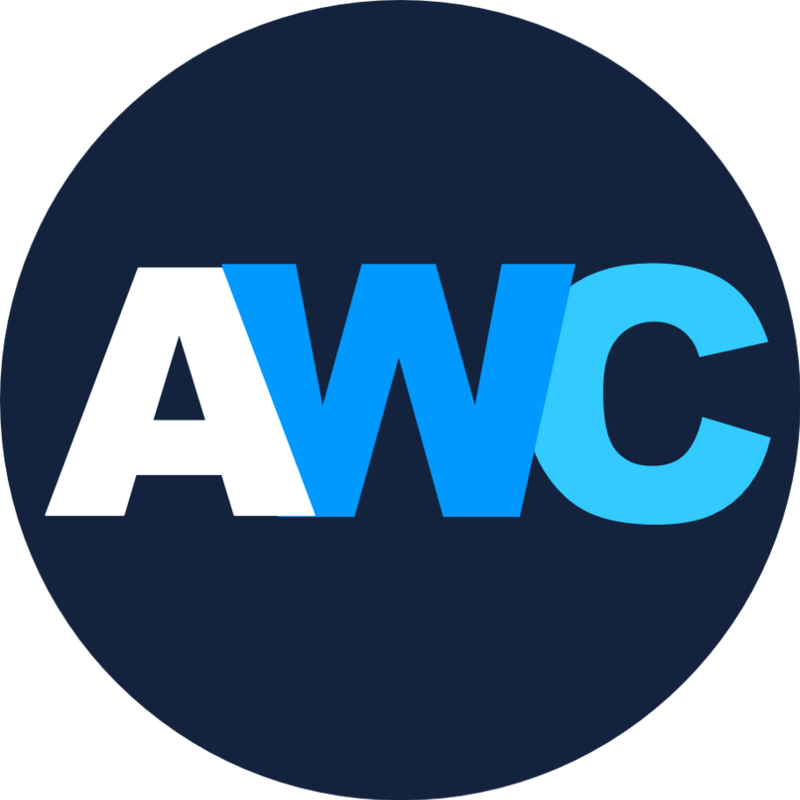 We want all of members of the AWC to uphold a positive and supportive community here on AniList. 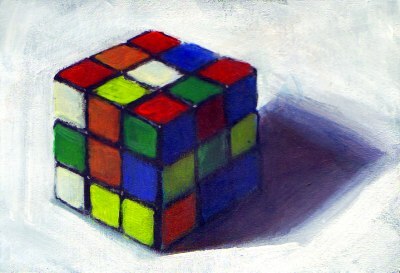 Q: For Beginner's Challenge Requirement 1: What if my favorite and least favorite combination doesn’t have any results? 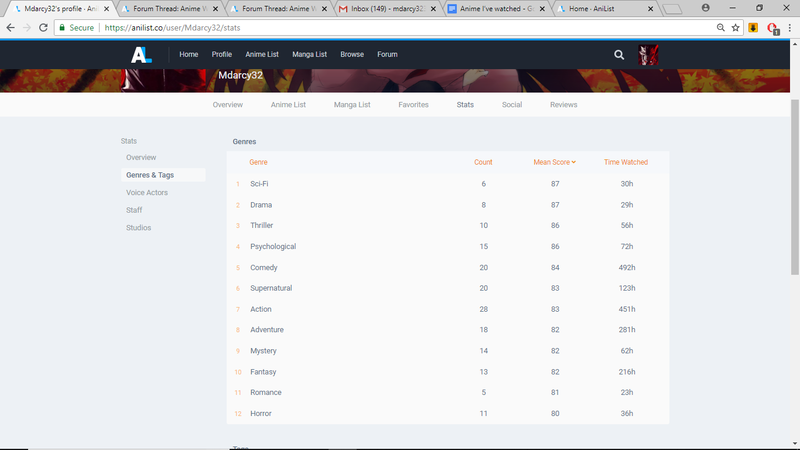 A: If no anime exists in the AniList database with that combination, go with 2nd favorite and least favorite, then second favorite and second least favorite and so on stepping down the list in turns until a combination works. Q: For Beginner's Challenge Requirement 6: What if I don’t have any dropped anime? A: If you do not have any dropped anime, use something from your on hold. If you don’t have any dropped or on hold, use something from your plan to watch list. Q: For Beginner's Challenge Requirement 14: What if I don’t have a favorite voice actor / staff member listed on my profile, or I don’t have a favorite. A: You can do a one of two things. 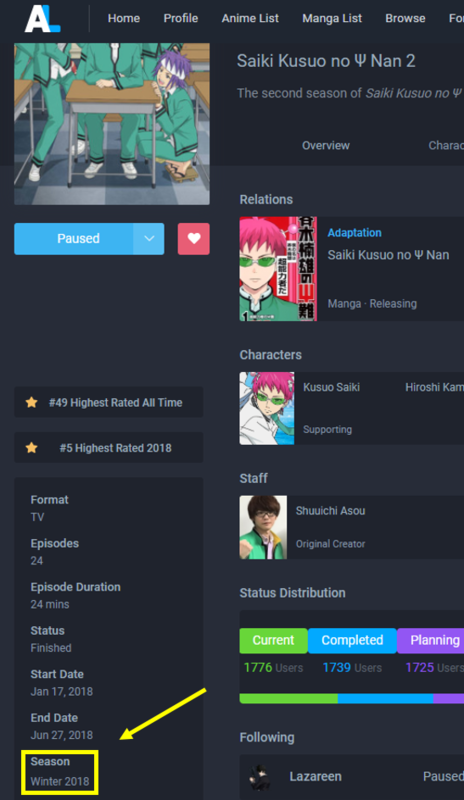 Find a voice actor / staff member you like and list it as your favorite in the challenge, use the AL stats page to see which voice actor / staff member you’ve seen the most. We aren’t going to be super stringent on this requirement. Q: I am currently watching an anime, but I don't remember the date I started It. Can I use it in the challenges? A: Yes, you can. But please give a rough estimate of the day you started, a guess is enough. Q: For anime that requires to start with a specific letter, must the title be in Romaji or English? A: You can use either. Romaji and English counts. Q: Can I use an anime with multiple seasons to complete different requirements within a challenge? A: As long as they are listed as separate entries on AniList, they are considered separate anime. For instance, Durarara! !x2 Ketsu, Durarara! !x2 Shou, and Durarara! !x2 Ten are all listed as separate entries so they would count for three different requirements. Q: The requirement states that I have to watch an anime with less than 12 episodes, does a movie count? A: Yes a movie does count. Q: I just started the Beginner's Challenge, can I use those same entries to complete Genre Challenges at the same time? A: Yes you can. The only challenges you currently cannot share anime between are the Beginner's and Intermediate challenges. Would using recommendations from this thread be alright? I've gotten a few recommendations through it and I want to use one of them for criterion number 2 of the beginner challenge. Yeah that should be fine, remember to screenshot the recommendation comment for proof. It can be from memory. I don't record dropped anime, but I still know which anime I have dropped. Perhaps you have an anime you can remember? If not, you can choose an anime from your paused list. Yeah, I've been telling people to do drop list, then on hold, then from plan to watch in that order if they don't have anything appropriate in one of the former lists. Just make sure to add a note to your challenge that you had to go to a different list. 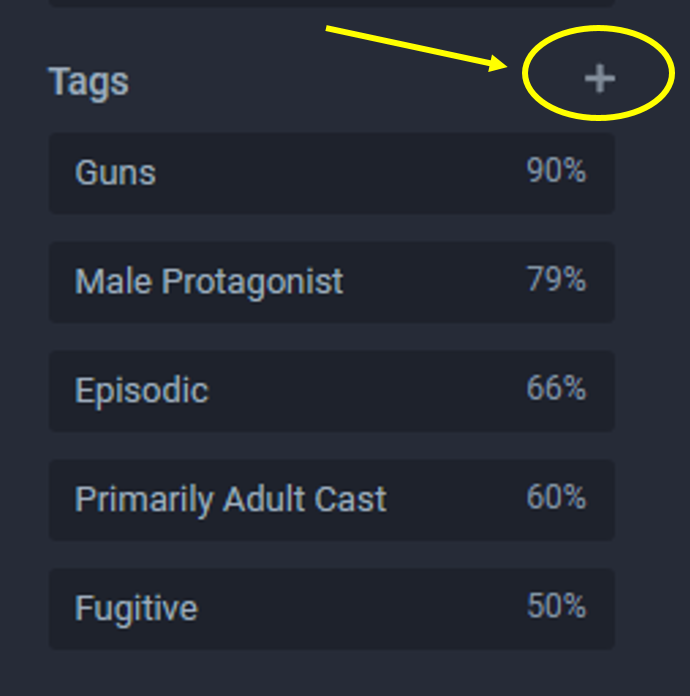 I really want to try this but my stats don't show the Genre & Tags option. What should I do? Is that normal? Go to your settings, then list. Click the update stats button. Wait a few minutes and it should update. Thank you so much! And about the screenshots; I'm just supposed to upload them on imgur and copy the link right? Sorry I've never done this kind of thing before. Zankyou no Terror is an original anime (at least it is on MAL), but it doesn't say so on its AL page. Would it still count? When you say "favourite studio / voice actor / staff", is that from what you decide or what AL thinks is your favourite? For some reason it doesn't like showing me studios / staff. 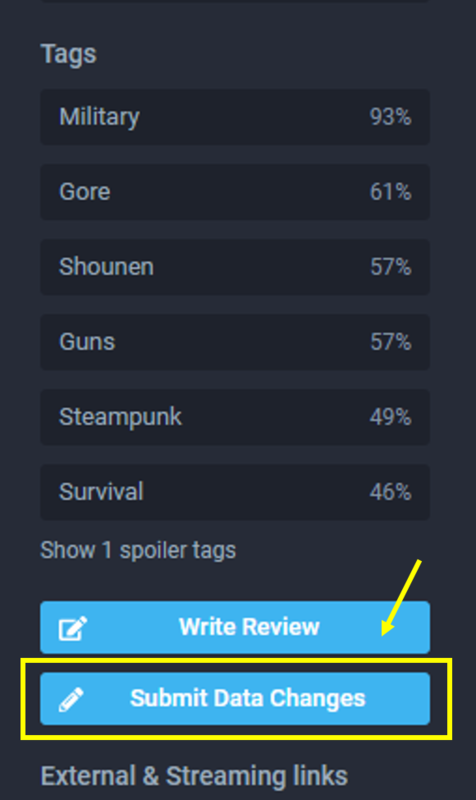 Also, my genre with the lowest count is definitely not my least favourite, so it would kind of feel like cheating to use it ^-^"
I assume it's ok to use shows from your Plan to Watch list? For the beginner's challenge we aren't going super stringent on the rules. Yes, you can use your favorite voice actor /staff member even if they are not listed in your profile. Just make sure to state the name of the individual in your challenge. Still use your favorite and least favorite from your stats page even if it really isn't your true least favorite. This requirement is just to give you an interesting combination of genres. Yes, you can use shows from your plan to watch. Is there a difference between requirement 6 questions? I'm not sure I understand your question. Can you elaborate, please? I know that the 'Beginners Anime Challenge' has just well... Began, but I'm curious if there will be more challanges that will be made in the future when this one has been completed and has died down from the public view? Yeah, definitely. I am almost done with the intermediate and hard challenges. We will also have monthly challenges. Currently, Aug requirements have been finalized and I just need to draft up the forum post. We're in the discussion phase for other challenges. If you have any suggestions for challenges you would like to see feel free to send any my way. It's to display in your profile, if you want. Purely cosmetic. cool like in my about section? EDIT: Since we didn't specify what type you have to use, every type of anime counts. Unless the challenge specifies what type of anime you have to watch, that is. Also, my screenshots aren't showing up on my post. Is there a rookie mistake I'm missing? your link doesn't end with .png, .jpg, etc.? or you inserted a link and not a picture. When pasting images urls when editing a comment click on the "Image" button and a window will show up and there you paste the link of the image. this is my latest one, what is the problem? little confused what you mean sorry.... do i use ruwix webiste instead of imgur ? This. Only without the spaces. Thank you it seemed to have worked! is it img220 for all screenshots? because i tried it on another post and it didnt work. Yes img is always when you imprt a picture directly from the browser. The number next to it(ex. 220) is just the picture size. So you can change the number however you wish. My Username ends with a "7"
Would the below de acceptable number 19? There is the below but one is a music video which i am happy to watch, and the other might be too old to find. Thanks and great idea and execution! I just re-read and technically it says last "letter" so i can watch something beginning with "R" is that ok? I suppose yes. You can use the letter "r". For requirement 15: what if I don't have a favorite studio? 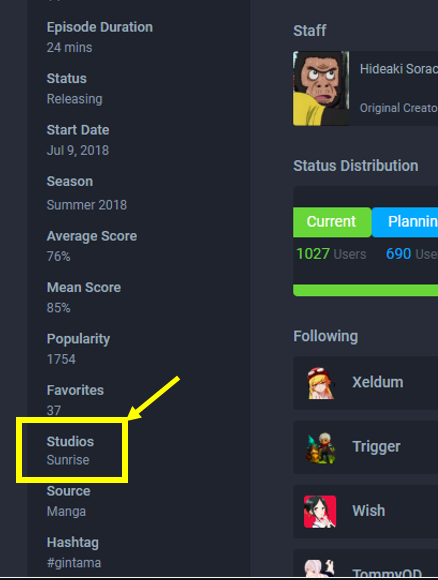 You can always ask for recommendations on the forums or Discord server, otherwise choose a studio you really like and add it to the favorites. I'm currently watching Saekano, and think about using it for the challenge (Anime with average rating under 80%). You mustn't use an anime to fill two challenges, but can I use Saekano Season 2, to fulfill the requirement of watching a sequel? Yes, You can use the sequel for other requirements in the challenge. Good day (or night!). Would like to ask about question 19 - Watch an anime with a title that starts with the last letter of your username. The last letter of my username is 'S' hence, I would like to confirm it doesn't matter if the title is in English or Romaji as long as the title starts with 'S'? E.g. -- > Romaji: Shuumatsu Nani Shitemasu ka? Isogashii desu ka? Sukutte Moratte Ii desu ka? -- > English: World End: What do you do at the end of the world? Are you busy? Will you save us? You can choose either Romaji or English titles. Just make sure that the title, when you enter that entry in the post, to start with "s". For challenge requirement #7 I can't find the recently reviewed section on the homepage. I just keep scrolling through the global feed but nothing related to reviews shows up. If you are on mobile, then sadly you don't see this on the homepage. But you can still get through this link https://anilist.co/reviews and choose one of the top ones. Thanks for the link! I'm on mobile so no wonder I couldn't find it.